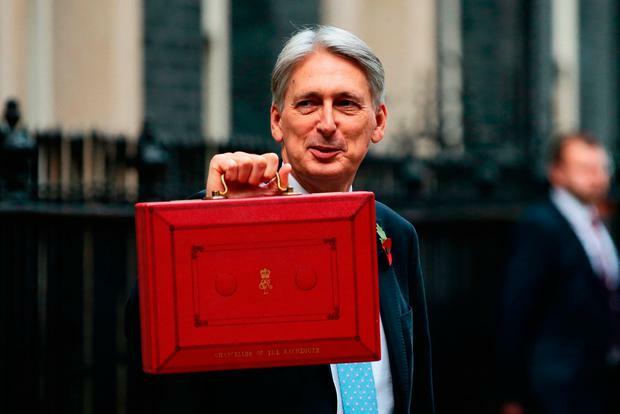 UK finance Minister Philip Hammond has declared that the "era of austerity is finally coming to an end", as he unveiled his last budget before Brexit. Mr Hammond, who had warned of radical changes to this budget blueprint in case of a no-deal Brexit, pumped an extra £2.7bn (€3bn) into universal credit after criticism of the new benefit from all sides. He also announced a new tax on technology companies. The income tax personal allowance will increase to £12,500 (€14,000) and the higher rate threshold to £50,000 (€56,000) from April 2019. Observers said the change will be worth at least £130 (€146) a year for workers. The Budget also includes a £350m (€393m) investment for Belfast under the so-called "City Deal" scheme. But this fell short of the £450m (€505m) Belfast and five other councils in the east of Northern Ireland had sought. The Northern Ireland Executive is expected to add at least a further £350m (€393m) if and when elected ministers return. Power-sharing government collapsed in January 2017 following a breakdown in relations between the Democratic Unionists and Sinn Féin. Among the other measures announced by Mr Hammond for Northern Ireland included an extra £320m (€360m) for the Executive, which will increase its budget to more than £11.7bn (€13.1bn) by 2020.